MUNICH -- Chancellor Angela Merkel's chief of staff, Peter Altmaier, said Germany has a "vital interest" in ensuring diesel engines survive, defending the embattled technology as the industry comes under fire for cheating on emissions tests. Excessive pollution from diesel, as well as traditionally close ties between the government and auto industry, have emerged as a campaign issue in the run up to the country's federal election in September. Merkel has been confronted by voters on the campaign trail, who accused the government of being too lenient on automakers, prompting the chancellor to question high bonuses for auto executives embroiled in Volkswagen Group’s cheating scandal. "We have a vital interest in preserving diesel as a technology because it emits far less CO2 than other technologies," Altmaier said in a Bloomberg TV interview in Berlin. "At the same time, we have to make sure that all the rules are respected and all the regulations are fully implemented." Car bosses and government officials reached a compromise deal earlier this month to lower pollution that calls for software updates on over 5 million vehicles instead of more costly hardware fixes. Volkswagen Group, Daimler and BMW Group also agreed to a trade-in bonus for cars with outdated emissions controls. The measures have been criticized as a slap on the wrist for Germany's biggest industry. "We have the responsibility to fight for a good deal but also to preserve the strength and the performance of the automobile industry," Altmaier said in the interview on Tuesday. "I'm very optimistic that we will overcome this." Diesel software updates alone are "insufficient" for many cities to meet the legal limit for nitrogen oxides in the air, Environment Minister Barbara Hendricks told reporters on Wednesday, citing ministry tests conducted this month. Excessive pollution impacts 70 German towns and cities, and the fixes agreed earlier this month would cut car emissions by a maximum of 6 percent, she said. Hendricks -- a member of Merkel's junior coalition partner, the Social Democrats -- said her ministry and others will ascertain in the coming weeks whether hardware changes in diesels currently on the road are necessary to further lower emissions and will present their findings after the election. "Nobody wants to ban diesels from our cities," she said. Merkel, who has so far largely steered clear of the debate, is hosting a meeting on Sept. 4 with representatives of the major cities, including Munich and Stuttgart, the hometowns of BMW, Mercedes-Benz and Porsche, which are struggling to lower their pollution levels. A number of cities and courts continue to evaluate potential diesel driving bans as the most effective means to meet regulation quickly. 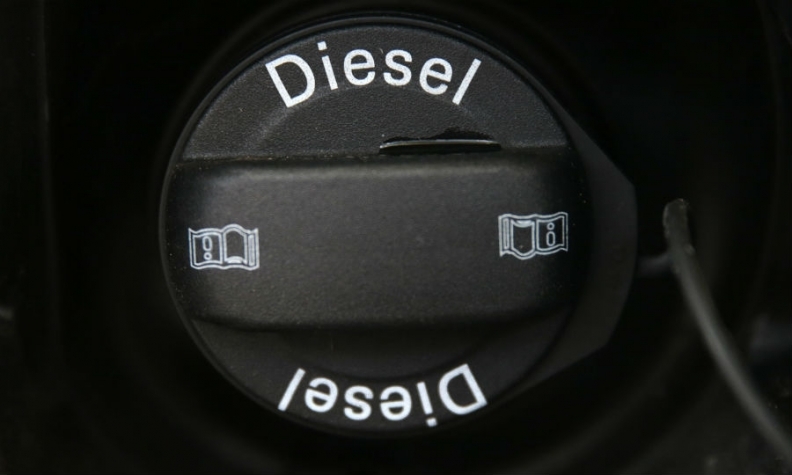 Diesel, once the symbol of German auto-engineering prowess, first came under attack nearly two years ago, following VW's admission that it duped regulators and consumers with diesels rigged to cheat on emissions tests. While the technology offers more power, and emits about 15 percent less carbon dioxide than equivalent gasoline engines, that comes at the expense of higher emissions of nitrogen oxide.